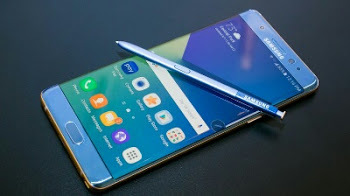 Samsung launches the new smartphone called Samsung Galaxy Note FE this smartphone is the renovated version of the "exploding" Note 7'. The "FE" means Fan Edition. The company is using this strategies to resuscitate and wake the dead and disastrous Note 7 launched however reviewed a year ago. This smartphone comes with Android version 7.1.1 , has a display of 5.7 inch AMOLED touch screen with multi touches and is also protected by a corning Gorilla Glass 5. Video 2160p@30fps, 1080p@60fps, 720p@240fps, HDR, double video rec.